For more information, please contact listing agents Heath Gran 605-209-2052 or Scot Munro 605-641-6482 with Great Peaks Realty. 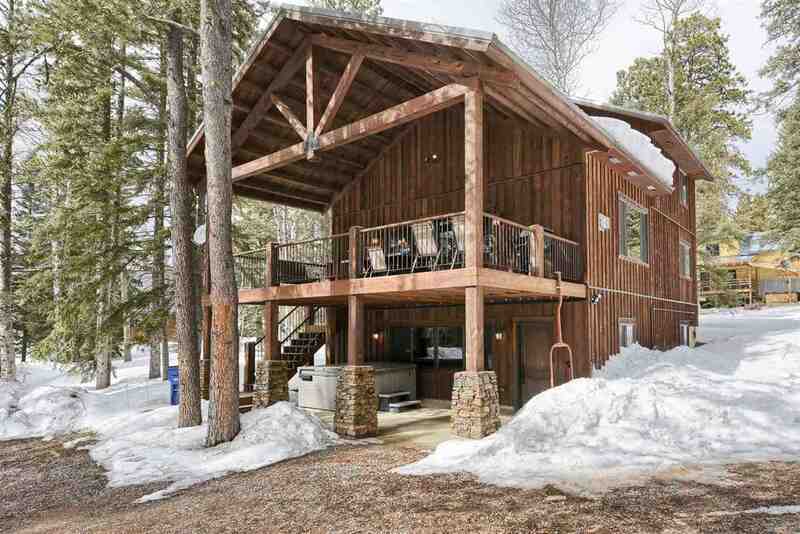 Incredible 4 bedroom cabin at Terry Peak offering ample parking and plenty of room for entertaining! Custom beam work and concrete countertops throughout. Large custom center kitchen island with built in beverage cooler and surround seating. Rustic hickory cabinetry throughout. Huge covered, Trex deck off main living area. Open loft for bunks or additional sleeping area. Master ensuite featured on the main level. Large laundry room and plenty of storage for outdoor gear. Walkout lower level to covered patio and hot tub. Bring your family and friends - make this your perfect Black Hills retreat or vacation rental! Basement/Substruct: Walkout, Poured Concrete Fd.